While I think most people in the United States today believe the public education system as it now stands is 'broken,' there is a great disparity in developing a comprehensible definition of the problem and even more inconsistency and confusion in cultivating a plan to ‘fix’ the problem. Sir Ken Robinson is is an English author, speaker, and international advisor on education in the arts to government, non-profits, education, and arts bodies. His theories on educational reform revolve around placing more importance on the arts, promoting student creativity, and solidly acknowledging and supporting multiple intelligences in instruction and learning. According to Robinson, the model of the educational system today is utterly out-of-date. Our students are being groomed to be compliant factory workers in a society that no longer supports these types of occupations. As students’ creative minds are educated out of them, we are turning out a stunted workforce of citizens who are unable to think creatively or critically. This video, from RSA Animate, details Robinson's thoughts on what is wrong with education today. Changing the paradigm of education today is the first step in meaningful reform. Robinson is unquestionably a wonderful motivational speaker in the world of education. In this video, recorded at the TED conference in 2010, he discusses moving away from standardized education and developing a personalized curriculum that supports the creation of an environment where children's natural talents can grow and flourish. He advocates, not reform, not evolution, but rather revolution in the world of education. 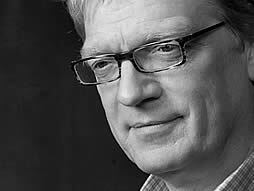 Ultimately, I find Sir Ken Robinson to be highly motivational and inspirational. He has a way with words and tells some of the greatest anecdotes related to children's education and learning that I have ever heard. After listening to his speeches and reading many articles he has authored, I am moved to be a part of the solution rather than a part of the problem. I really don't know how anyone in the world of education who considers themselves a progressive thinker could not be influenced by the message this man is sending out. My only criticism is this - while Robinson is absolutely fantastic at the conveyance of 'big ideas' for educational reformation, or transformation, he doesn't really offer any feasible ideas for making these types of changes a reality. Listening to him provokes a response in those who listen to him, but now what do we do? The wheels of change turn slowly in education. What can we do now to make a difference? What little changes can we make in our classrooms to promote creativity and allow our students to develop their personal talents? Knowing change is needed and taking steps to facilitate change are two very separate things. Ideas without actions are not worth the air it takes to say them or the time it takes to write them. So, if you believe in the kind of change being called for by Robinson, how exactly do we make that happen?